$27.5 - Also available in a small tulip print, this new blouse is from Rylee & Cru and their fall 2017 line. 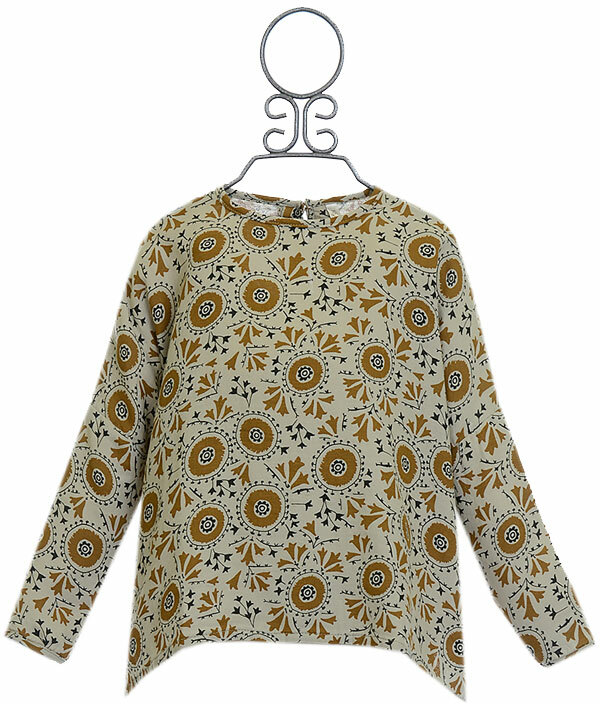 The woven fabric features a vintage inspired print filled with medallions and leaves. The box cut creates the oversized fit, a beyond comfortable design she will adore. This piece (and so many others) are perfect for new school days! The wide neckline is secured with two buttons. 100% Cotton. Machine Wash Cold Inside Out. Tumble Dry Low. Do Not Dry Clean! SIZE 8-9 AVAILABLE.